Everyone on Eleuthera has driven past a pond, but very few have been in one. These inland ponds are unique ecosystems that are rarely visited, let alone studied. These ponds, found all over Eleuthera and throughout The Bahamas, are termed Anchialine ponds, pronounced “AN-key-ah-lin”, derived from the Greek anchi meaning near, and halos meaning sea. Do not confuse these ponds and blue holes; blue holes are formed by collapsed caves and tend to be much deeper than ponds. The ponds contain brackish water, have some underground connection to the sea, and are an important resource for bird life. The inland ponds are fragile and under threat from human activities such as developments, pollution and the introduction of species. Eleuthera has over 200 of these inland ponds and lakes. One of these, Sweetings Pond, in the north of Eleuthera, is home to large numbers of seahorses. 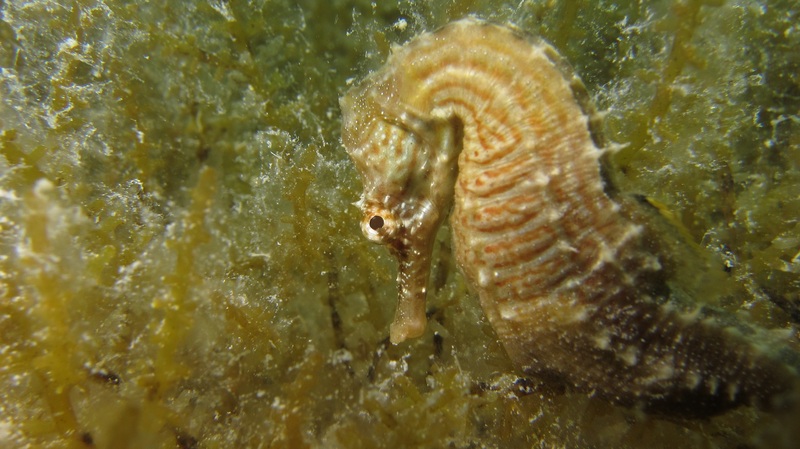 In the Caribbean, there are just three species of seahorses that are all listed as vulnerable on the IUCN Red List, meaning the information on these species is limited, but they are likely endangered. The seahorses of Sweetings Pond are thought be a new species and require recognition and protection from developments that could destroy their habitat. Worryingly, there is a proposal to turn this pond into a marina, so action is needed now. Sweetings Pond may not be the only special site on Eleuthera, as the isolation of anchialine ponds are known to result in high numbers of unique and endemic life. Knowledge is the first step towards conservation, but these ponds are poorly studied. The Cape Eleuthera Institute Island School research class set out to explore and assess the ponds. Specifically, we wanted to identify sites with rare species and to assess the extent of human disturbance. Over the last few months, eight ponds were visited, and four fully assessed (and no sightings of the Lusca in any of the ponds!). 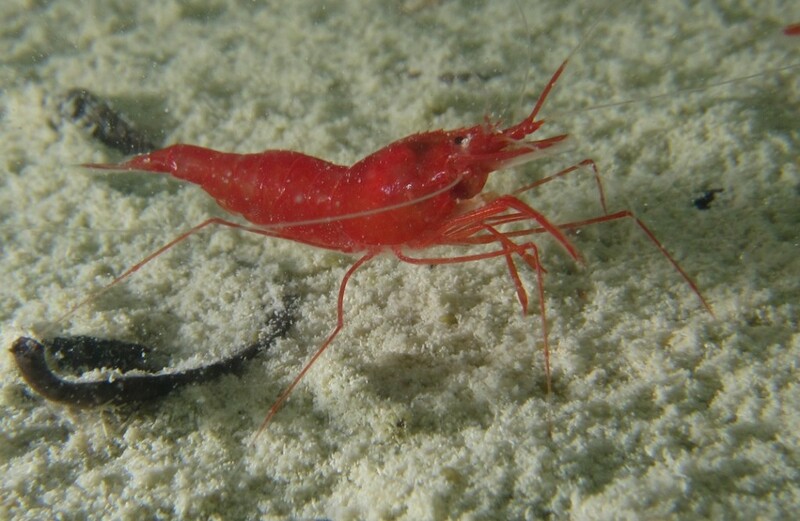 The most exciting finding so far has been the discovery of a red cave shrimp which has not been previously reported here on Eleuthera. These shrimp may be the critically endangered Cuban Cave Shrimp (Barbouria cubensis) or a new species altogether. We are working with shrimp specialists to get the species identification confirmed. Sadly, during the study we found evidence of human disturbance. Three of the four ponds studied had an abundance of trash dumped in and around them. However, the water quality data did not indicate high levels of pollution in any of the ponds, but these ponds were not located near farm lands or developments. In summary, the findings of this study highlight the need for conservation of ponds with unique species, and the need for protection and/or restoration of ponds from human disturbance. There is a huge opportunity to develop ecotourism at pond sites as less than one percent of the tourists that come to The Bahamas each year visit ponds. The next step for this study is to give the Bahamas National Trust our data and to continue researching the hundreds of remaining ponds on Eleuthera. Standby for more exciting pond discoveries!